Hiring an experienced contractor can help ensure that the insulation in your Birmingham, Alabama, area commercial building project is installed properly and in a timely manner. At Arango Insulation, we specialize in providing unparalleled craftsmanship and some of the fastest turnaround times in the industry. Our installers have years of experience and have all been trained in the latest installation techniques and procedures. To oversee their progress, we assign a dedicated project manager to each construction team. This supervisor closely monitors all work performed, making sure that it is completed properly and within your construction deadlines. In addition, we are able, in many cases, to be on the jobsite within 24 hours of being contracted. This expediency, combined with our technical expertise, is what differentiates us from the competition and allows you to rest easy knowing that you are hiring the best when you turn to our company for all your Birmingham, AL, commercial insulation needs. 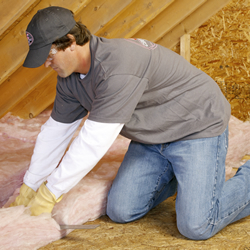 For more information about the incredible insulating materials we offer and the benefits of having them installed by a professional contractor, please contact Arango Insulation today. We are proud to serve Birmingham and all surrounding cities in AL.